Due to popular demand I have just published a new giclée print of this recent painting of Purple Sandpipers. 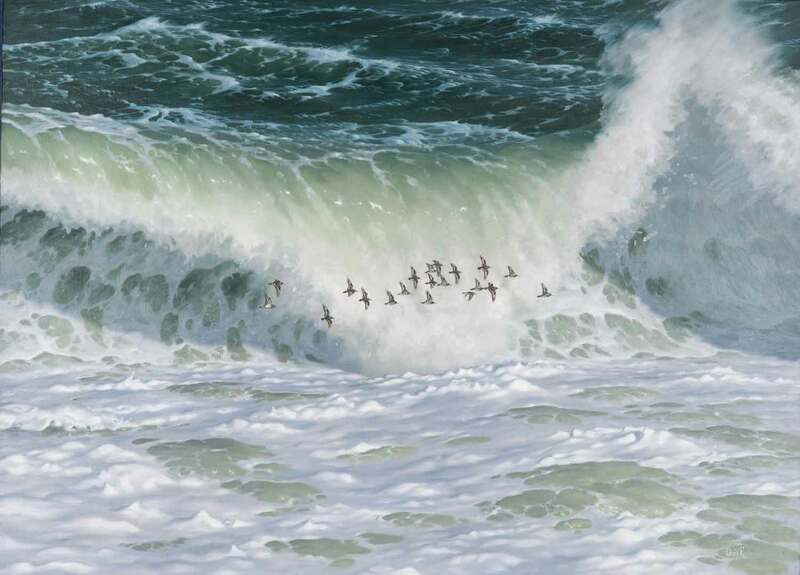 During a winter storm-surge at Bamburgh on the Northumbrian coast I watched a small flock of Purple Sandpipers dashing infront of the breaking waves. After alighting on the rocks they would be soon be pushed off by the crashing surf to wheel around again to another part of the shore. 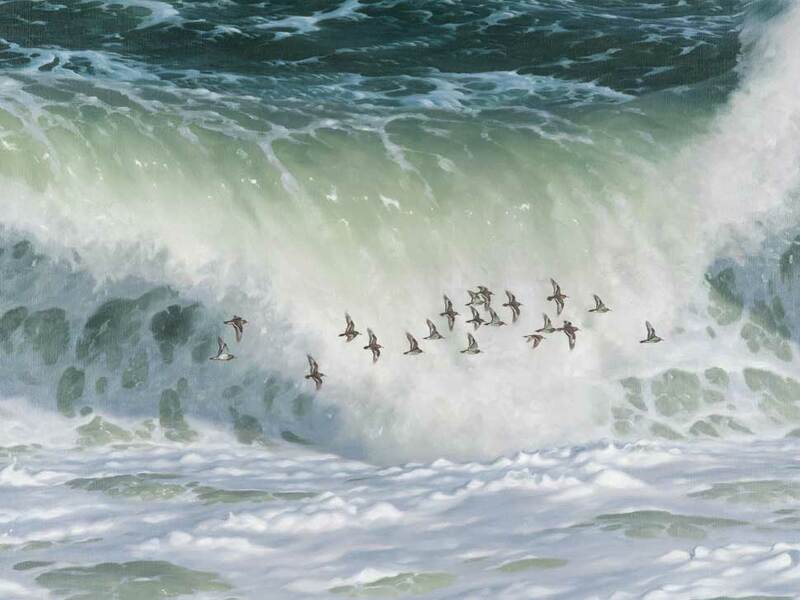 It would have seemed sensible for the birds to settle above the danger zone but I imagine the pounding sea was dislodging small marine organisms and spraying them on to the rocky shore – rich pickings for alert and agile sandpipers.